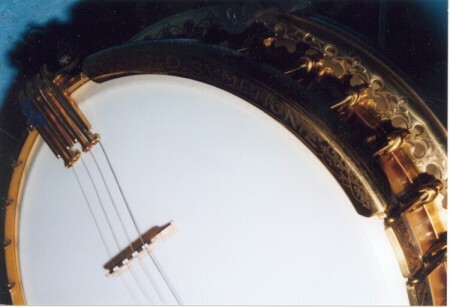 The Bacon Banjo Co. brought out their final Silver Bell series in 1930. This was the Symphonie. It was somewhat different from all the earlier Silver Bells. The flange holes were changed to a clover leaf style instead of the familiar F holes. It also had a large suspended head, and the diameter was expanded to 12 1/8 inches, rather than the usual 11 inches. 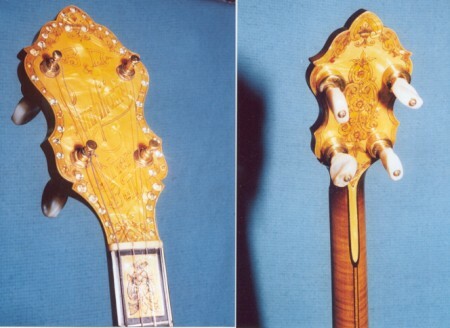 In addition, David L. Day's newly patented tone ring was incorporated in this model. Pictured here is a # 4 Symphonie, made with maple wood. It is gold plated, and heavily engraved. The serial number of 30572 indicates the first year of production, 1930. Bacon was later sold to The Gretch Co. in 1939. 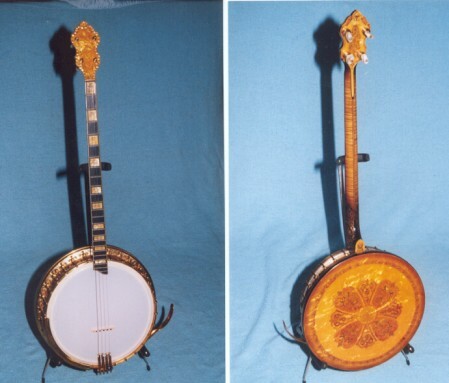 "How much is my banjo worth?" 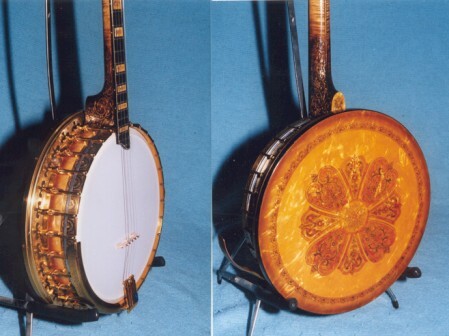 Please include photos of your banjo when inquiring about value. Your request will not be answered without photos.